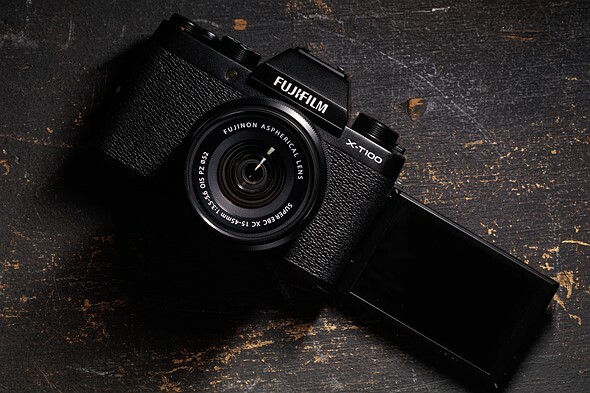 In addition to a barrage of product announcements, Fujifilm has also updated the firmware for its X-T100 and X-A5 camera systems. Both cameras will receive firmware 2.00 sometime this month, which will include three new and improved features. The first of the three major features in the updates is a new 'Bright Mode,' which Fujifilm says 'provides a brighter and more vivid image when using the Advanced SR Auto mode.' If the future isn't wanted, it can easily be turned on and off with a tap on the LCD touchscreen on either camera. Fujifilm has also added its Portrait Enhancer Mode to the X-T100 and X-A5 in these updates, which makes it easy to select from three levels of skin tone enhancement using the touchscreen. The last major addition is a new Night+ Setting. This new setting automatically adjusts ISO, brightness and vividness of the picture to better render the image in low or poor light situations. Firmware version 2.00 for the X-T100 and X-A5 and instructions on how to install it can be found on Fujifilm's website.